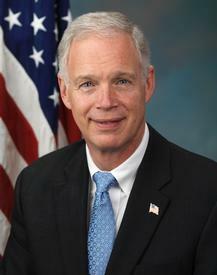 Senate Homeland Security and Governmental Affairs Committee Chairman Ron Johnson (R-Wisc.). A small bipartisan group of Senators on Monday introduced legislation that would give the Departments of Homeland Security and Justice authorities to defeat threats posed by unmanned aircraft systems (UAS) to certain facilities and assets. The bill comes as the two departments are completing work on a proposal to Congress for legislative authorities to disrupt the use of drone threats in the national airspace. It is currently illegal to bring down an aircraft, including UAS, in the U.S. A number of companies have developed counter-UAS capabilities and these have been tested by the U.S. military, but little testing has been done in the homeland security environment. The Preventing Emerging Threats Act of 2018 (S. 2836) would allow authorized DHS and DoJ personnel to detect, identify, monitor and track UAS, provide warnings to operators of the aircraft, disrupt and seize control of the aircraft, and destroy the aircraft. In the bill, counter drone refers to defending a “covered facility or asset” in the U.S. and its territories and navigable waters that are related to missions performed by DHS and the DoJ and when states’ seek help protecting people and property at mass gatherings. In addition to Johnson, Sens. John Hoeven (R-N.D.), Tom Cotton (R-Ark. ), Claire McCaskill (D-Mo.) and Jeanne Shaheen (D-N.H.) also sponsored the legislation. The bill contains a five-year sunset provision, which would give Congress time to evaluate the effectiveness of the authorities, and directs DHS to conduct research, developing, testing and training on equipment for counter UAS operations. It also directs DHS to report to Congress on UAS threats to critical infrastructure and on existing authorities at the federal, state, local levels to counter these threats. Homeland Security Secretary Kirstjen Nielsen last week told Senate appropriators that oversee funding for her department that transnational criminal organizations are using UAS to smuggle drugs into the U.S. and there is a concern that eventually the systems will be used to carry out bomb attacks inside the country. She said her department and the DoJ are finishing work on proposed legislation to disrupt the illegal use of UAS in the U.S. The prosed legislation offered by the five senators doesn’t appear to apply counter drone operations to border security missions such as illegal drug smuggling. The 18-page bill also includes a provision tasking DHS with assessing the threat of vehicular terrorism in the U.S. and what the department is doing to help emergency responders prevent, mitigate and respond to these threats.